[Hanover, Germany] MSI, the global leader in All-in-One PCs, is set to unveil its brand new model for business applications at CeBIT 2011 in Hannover, Germany: The Wind Top AP 2011. MSI is the pioneer in bringing LED panels to All-in-One PCs. AP2011's ultra-thin profile provides a cleaner, less cluttered desktop with the new ID design. The unique power-saving technology saves 30% in energy compared to traditional CCFL panels. 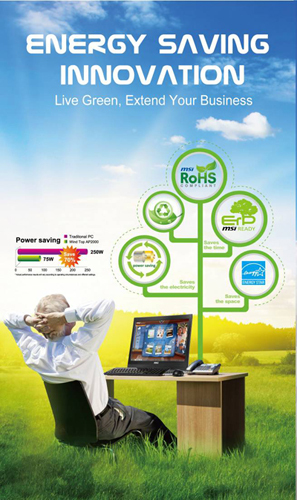 Coupled with MSI's exclusive energy-efficient technology, businesses can save a significant amount in electricity, thereby achieving the environmental goals of the Green PC concept. In terms of performance, the Wind Top AP2011 comes equipped with a 2nd Generation Intel® CoreTM processor, making for a breakthrough computing performance and even more efficient multi-tasking. In addition to its energy-saving capability and great multi-tasking performance, the business models in the Wind Top AP series introduced by MSI have also taken into consideration the needs of business users. There are several COM ports available for barcode readers, credit card machines and credit card billing machines. MSI combines energy saving planning with technology and performance to bring the best tools to the individuals as well as to the corporate offices. The latest MSI Wind Top AP 2011 is equipped with The 2nd Generation Intel® CoreTM Processors, which, for the first time, has combined the graphics processing unit (GPU) and the central processing unit (CPU) into a single chip, along with a series of visual rendering- related capabilities. It allows users to enjoy better quality when watching videos or viewing pictures. The MSI Wind Top AP2011 Business model, which employs the Sandy Bridge processor, brings better performance. What's more is that its built-in GPU not only shares its resources but dynamically adjusts or reallocates tasks in the processor core and GPU resources as needed to improve the overall processing speed and raise individual productivity. With an emphasis in office and business applications, the Wind Top AP series is equipped with the most complete set of I/O expansion ports to meet the business needs for any commercial applications. With respect to office requirements for POS systems, such as five-star hotel front desks, 24-hour convenience stores, gas stations and boutiques, the Wind Top AP 2011 provides one COM port for connecting to barcode readers, credit card machines or credit card billing machines, making it an optimal cutting-edge platform for a variety of commercial applications, and altogether replacing existing commercial POS machines. 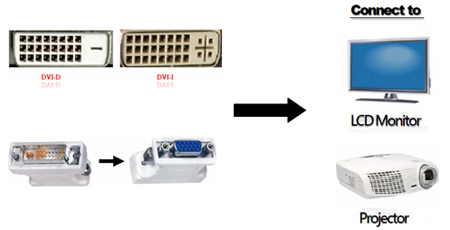 The complete series of the Wind Top AP also boasts standard DVI-I signal output, which is highly compatible, and can be used with DVI-I and DVI-D, or can be paired with a D-Sub adapter for simple and convenient connection to output devices with various signal formats (DVI-I, DVI-D & D-Sub). The Wind Top AP can also be connected to an external projector or LCD display. The comprehensive I/O interface design for commercial applications also comes equipped with the MSI Super Charger technology, which allows recharging of devices even with the computer turned off. The USB 3.0 transmission interface, which is 10 times faster, allows you to complete your business tasks more efficiently whether it's for briefings during a meeting, storefront displays, the rapid transfer of high-resolution, large-sized data files, and files of various other formats. 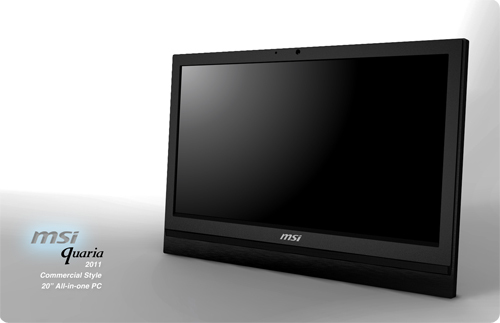 MSI is a pioneer in the industry in introducing the first LED panels into the All-in-One PC models. The ultra-thin profile is here and it's real, and so are the, savings. The LED panel alone is able to save 30% in power consumption when compared with conventional CCFL panels. In terms of the AIO models alone, MSI's LED AIO – AP2011 can save about 30% in energy. And coupled with MSI’s exclusive energy-efficient technology, it is possible to save up to 70% in power consumption compared with conventional desktop PCs (i.e., a typical 300W desktop computer). Assuming that a computer is running non-stop 24 hours a day, then an average of 23652 units of electricity can be saved in one year, which is the equivalent to a reduction of 1,856 kg in carbon emissions. The use of the LED AIO will help businesses save a significant amount of energy and contribute to the goals of the Green PC. To show that we're for real, MSI's business models, the AP2000 and AP2011, are certified with the U.S. Energy Star 5.0 standard, and are compliant with the latest 2010 EU Directives on energy-consuming products (ErP) and RoHS environmental requirements. The models use a non-toxic coating, and 80+% of their packaging is made from recycled packaging materials— all signs of MSI's commitment to the environmental protection. The energy saving and carbon reduction objectives promoted by MSI are realized in their commercial applications, while at the same time continually upping the ante on green technology.